5 Best Pinterest Tips and Tricks in 2019 - My Traffic Exploded 10 times! Like everything on the Internet, Pinterest is changing very fast. Pinterest tips for growing your audience published in 2015 or even 2016 are definitely outdated in 2019. The platform evolves, and algorithms become more sophisticated day by day, which makes it harder to manipulate it. I started my blog in the middle of February 2017, I created a brand new Pinterest account associated with my blog, so I had 0 traffic and 0 Pinterest followers for starters. In 3.5 months, if we compare monthly traffic for Feb and May, I’ve got 10 times more pageviews! And haven’t yet a chance to quit my 9-5 job and work on the blog full time, it’s just a side hustle for now, with less than 20 posts published so far. So, guess where does my traffic come from? Pinterest! About 94% of my audience comes from Pinterest! Is this a good or bad thing? Well, keeping all eggs in the same basket is never good advice, but having mostly Pinterest traffic is way better than having no audience at all! When I started the blog, I knew that Google will take about 6 months to give at least some trust to my site, so I was ready for the dull months of talking to myself with no audience at all. But I saw that so many bloggers are successfully driving tons of traffic from Pinterest that I decided to give it a try… and it worked! So, now I have my own experience and success story with Pinterest, and I’d like to share with you some tips and tricks that you might find completely contradicting everything you’ve read before. But it works for me, and I hope it can help you drive traffic to your blog too! The Internet is full of Pinterest tips which you could give to anyone – like to use vertical and long images or to add descriptions to each of your pins. If you are blogging for a while, you probably already know these. I wrote earlier a very detailed post which explains who to make perfect images for Pinterest so you can check if what you are doing now is the most efficient for your growth strategy. Let’s look at the things that I believe were the biggest factors which contributed to my Pinterest traffic growth. If you haven’t heard of Pinterest Rich Pins, you probably are new to Pinterest marketing. Do it ASAP because rich pins get more attention in Pinterest search results, and consequently, you get more likes, repins and traffic to your site. To make it simple, Rich Pins add more content from your site under the image. There are several types of rich pins explained by Pinterest, but for most of the bloggers, the Article type is the best. There are several ways to enable rich pins on your account, I’ll show you the one I used. Install Yoast SEO plugin for WordPress and set in its Social settings find the Facebook tab and click “Enable“ Open Graph. Validate your site on Pinterest’s Rich Pin Validator by giving a link to any post on your blog. Make sure you don’t give a link to your main page, it has to be a blog post URL! After the validation is complete and approved by Pinterest, you will start seeing under your pins additional content from your site. Subscribe and get the Hack by email! Success! Now check your email to get the link to the promised Pinterest Hack! I'd like to receive the free Pinterest tips by email. Use Tailwind as a pro. If you don’t, your competitors will anyway! You can ignore marketing automatization tools, you can spend tons of your time manually pinning every single pin. It’s up to you, guys! You can try the first month of Tailwind for free and see how it goes. I had no patience to use the free version for longer than 3 days because I was desperate to schedule the posts for the next month and forget about it. I was also eager to try all the available features. So I just paid the yearly subscription, it has a better price than if I paid per month. I thought, if I’m going to make a living with a blog, the investment of 90 USD which will contribute to the blog growth, is an excellent deal. Another reason to go for Tailwind is the real stats for each pin which Pinterest stopped showing in 2017. As of November 2017, Pinterest doesn’t show you repin counts on mobile devices and on the desktop, for all the boards except your own boards. If you want to add some popular pins from other people to your boards, now you have no way to know which pin has been repinned how many times before you. If you use Tailwind Tribes feature, you can still see repin counts for there (see an example on the screenshot below). Remember the 80/20 rule? Forget about it! This is a standard recommendation of many Pinterest gurus – publish about 80% of other bloggers and only 20% of our own. In group boards especially. This is about ethics, they say, and about giving your audience a feeling that you are not there just for promoting your own stuff. Well, this advice is a good one to give and a bad one to follow. Analyze the activities of those gurus, and you’ll notice that they publish way more than 20% of their own content. Answer yourself a simple question. What happens when you pin other bloggers 80% of your time? Come on, just say it! Yes! You are driving traffic to their blogs about 80% of your day! Does this advice make any sense? To me, it doesn’t. If I find some really high-quality content of my fellow bloggers, I happily share it and repin. But for God’s sake, what am I doing in this business if I don’t consider my own content good enough to share it and bring visitors to my own site? I can’t tell you the exact share of my own content I’m pinning right now, never made this with % precision. I repin my best posts at least once a month, and I’m always checking how my boards look. If there is only my content, it looks too bad, so I add something like 20-30% of the other bloggers’ content. In my Pinterest tips one of the most important ones would be about 80% of your own content and only 20% of other bloggers. I need to make a remark here though. If you are just a beginner, and your blog doesn’t have a great variety of content, repinning the same 10 posts in a loop will look very weird. Another note. Other useful posts for you on AnastasiaBlogger.com. Check them out! 20+ Best Paid Surveys Sites – Get Paid to Take Surveys! Why infographics? Because they are so long and so popular on Pinterest! They get lots of repins and will drive your boards to grow faster. At the same time, they are preferable because you don’t send traffic to other bloggers so much. People tend to read infographics on Pinterest, and so they don’t need to even click through to the site of your competitor! 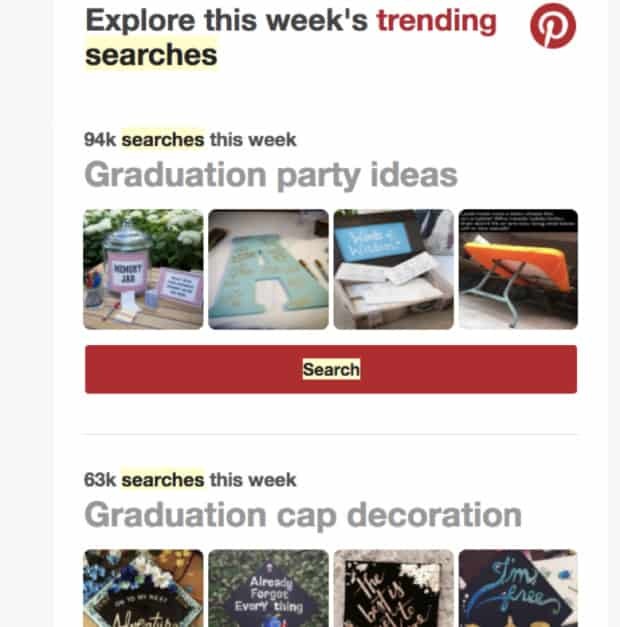 Pinterest is very liable to the season, holiday, public events related trends. This means that you can grow your boards by following these trends and planning your publications ahead. You need to post your content a little bit in advance; so by the peak time, your post already has some repins. Want an example? About a 2 months before the Halloween this year, I made a post about DIY Halloween decorations. 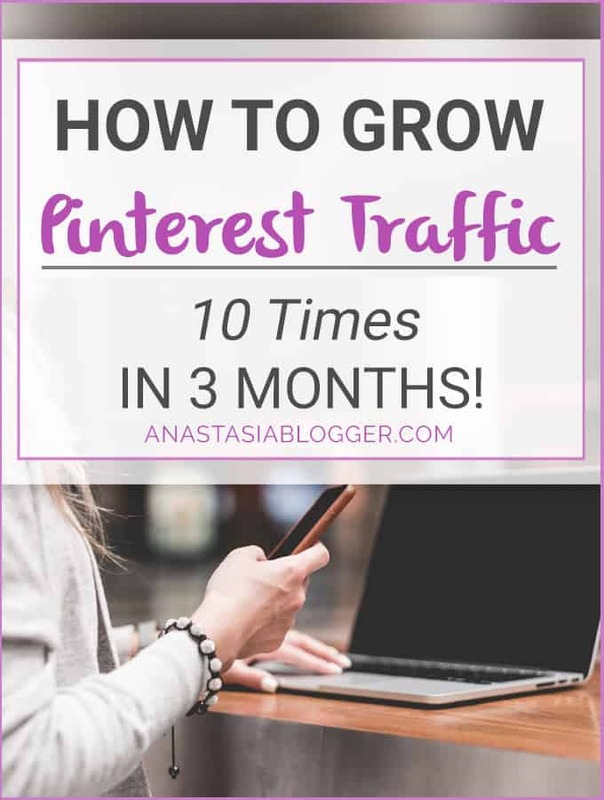 And look what happened with this pin – it went viral like crazy in just 10 days and resulted in the biggest (so far) spike in my Pinterest traffic. After the initial peak, the same post still worked pretty well until the Halloween, and after October 31 it retired, which was absolutely expected. I hope the same post will work for me next year again. Meanwhile, I work on Thanksgiving recipes and Christmas gifts under $10 posts, I’ll let you know if they go viral. I’m a big advocate of the idea that a blog can and should be a way of making extra income or maybe even replace your full-time job. So here is how to use Pinterest for business built on the blog as a foundation. My site is just a little over 1 year old, I started with a 0 following Pinterest account and by the 10thmonth blogging, I reached 250,000 monthly pageviews to my blog, with about 90% of traffic coming from Pinterest. I started my second blog in Feb 2018, and the new blog momshealth.co already hit 74,000 monthly pageviews in less than 90 days! And again, almost all the traffic comes from Pinterest. If you are interested in growing your Pinterest traffic fast, you can get yourself set up for success with my Pinterest SEO Traffic Secrets course. It’s over 6 hours of video training packed with my personal know-hows and Pinterest hacks. I can guarantee that at least 50% of the Pinterest tips and tricks I share with you in the course, are absolutely exclusive and you will not find them in any other Pinterest course. If you don’t need to grow fast and don’t mind working at your 9-5 job for a lot longer, you can totally keep reading my emails and posts because I also share tons of free advice. It’s just a matter of how FAST you want to grow your blog and income. These are great! I love how honest you are, in what strategies are working best for you, and which ones you’re not a huge fan of. Refreshing to find someone who isn’t selling everything under the sun! ? Hi Diana! I’m glad you liked my post 🙂 I know what you mean about not selling everything under the sun, I’m still quite frustrated with Boardbooster’s poor interface, but since this post was written a few months ago, I decided to make a little update to be completely honest. I’m currently using Boardbooster on the minimum 5-dollar plan, to schedule my best pins to the best-performing group boards and use for this Random Campaigns feature. I appreciated this feature because I can set it up one time the list of pins that work best for my blog monetization, and the list of boards, and then it works on its own. I can check once a month the stats for the boards, and if I see some boards have low repin rates for my pins, I remove them and add other boards instead. This. is. fantastic. advice! I have tailwinds and I love it! I need to use the tribes a little more. That is my next project. Yep, now that Tailwind Tribes are paid, I guess, everyone will be looking only for the most active tribes with high engagement scores to join. This will increase the effectiveness of tribes overall. Thank you for sharing this. Your recommendation on the 80-20 rule really resonates with me. I have never bought into the concept. Sure you should repin what you enjoyed reading and share the love. But Disney doesn’t tell me to go and visit Universal Studios when I am in Orlando and neither should bloggers. Hi Juhita! This is so true. In fact, if you look at the Pins of established bloggers with 100k+ followers, most of them barely pin 5% of the other people’s content. 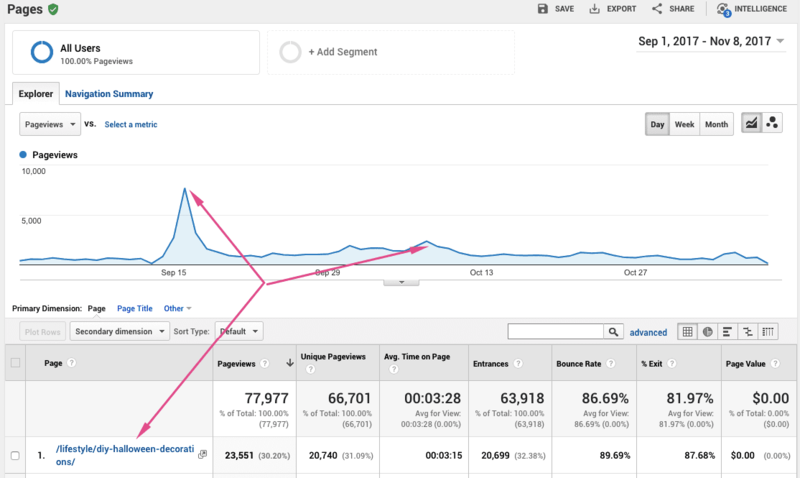 I’ve seen accounts doing 50 pins of their own content vs 5 of other users per day. Great tips! I haven’t heard the tip about repinning infographics! Off to do that now…. Thanks! Thank you, Vicki! Infographics are highly repinnable images, so they help you build your Pinterest account’s authority. Thank you for laying your 5 best Pinterest tips and tricks out in a way we can all understand! I absolutely love Pinterest and have been using it more for my blog than ever before. Thank you Nicole, I’m also a big fan of Pinterest as it works so great for traffic generation! Great info! I agree about the 80/20 rule. It really doesn’t make much sense. Still trying to build up traffic from Pinterest so thanks for the tips. I love your pure honesty, it’s incredibly refreshing. I am new to the blogging world, so it is a learn as you go game (as everyone notes). I am definitely grateful for any advice I can get! That being said, I’m glad I ran across your blog as the tips for Pinterest are awesome! I will be coming back for more! Hi, Liliya! I’m glad you found the post useful 🙂 Let me know if you have questions about promoting on Pinterest. Great post, I’m definitely going to try a few of these Pinterest tips! Great tips Anastasia, thanks for sharing. What I want to know is how to create 10+ images per day that I will pin it? It seems to me that’s a lot of work to do. Or I have missed something? Hi, Berny! No, you don’t need to create 10 new pins a day. The minimum recommended strategy would create a post (for example, one post a week), and create 3-5 pin versions for it. Pin versions can have slightly different text overlay or just the colors, or background. Even though they will be linked to the same post URL, Pinterest will consider them all as new pins. You can then save each pin version to several relevant boards, just make sure you do this with intervals of 24 hours. 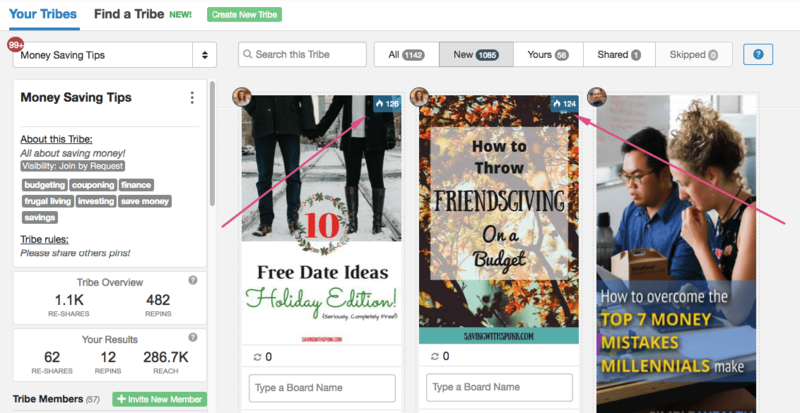 When you have multiple posts, adding new pins this way with intervals, very soon you’ll notice that you set your scheduler with your content months in advance.